The DHS Jammu Recruitment 2018 Notification information is available in this article in a clear manner. The job searchers who belong to the Jammu State those can check this article once because the officers of Directorate of Health Services Jammu (DHS Jammu) had released a new DHS Jammu Recruitment 2018 to fill up the 13 Psychiatric Nurse, Consultant Psychiatrist, Psychologist/ Counsellor, Psychiatric Social Work, Record Keeper vacancies. So aspirants who are interested to work with the Directorate of Health Services Jammu (DHS Jammu) those can apply for a suitable job before 31st January 2018 is the last date for submitting the application form through offline mode means post the filling application form to correct postal address which is given at the end of the article. Applicants can check the complete article until the end and capture entire details about this article without any delay because there is no more time for submitting the application form. Participants have any doubts about this article can check the official web portal of the Directorate of Health Services Jammu (DHS Jammu) for clarifying your doubts about the DHS Jammu Recruitment 2018 Notification. Every year the officers of Directorate of Health Services Jammu (DHS Jammu) issue notification for fill the empty vacancies in different departments. As usually this year also the officers of Directorate of Health Services Jammu (DHS Jammu) had released DHS Jammu Recruitment 2018 Notification for place young and experienced candidates in Psychiatric Nurse, Consultant Psychiatrist, Psychologist/ Counsellor, Psychiatric Social Work, Record Keeper posts. Interested and talented applicants can apply for the posts if you are eligible. In this article, we had provided all the eligibility criteria details such as education qualification, age limit, age relaxation, salary details, selection process, application fee, important dates, important link, etc in a clear manner. Participants go through the complete article and capture entire details about DHS Jammu Recruitment 2018 Notification. After checking this article, applicants are eligible for the job can apply immediately and start your preparation for the Written Exam. Aspirants who are ready to apply DHS Jammu Recruitment 2018 Notification for the Psychiatric Nurse, Consultant Psychiatrist, Psychologist/ Counsellor, Psychiatric Social Work, Record Keeper posts those need to attach two photos, education qualification certificates, work experience certificates, etc and post to exact postal address of the Directorate of Health Services Jammu (DHS Jammu). These aspects are clearly mentioned in DHS Jammu Recruitment 2018 Notification. For the sake of aspirants, we had provided DHS Jammu Recruitment 2018 Notification link at the end of the article. Candidates can download the Notification and check the details after that apply for the Psychiatric Nurse, Consultant Psychiatrist, Psychologist/ Counsellor, Psychiatric Social Work, Record Keeper posts before the due date that is 31st January 2018. Participants can check the official web page of the Directorate of Health Services Jammu (DHS Jammu) for knowing the latest updates about this article. The officers of Directorate of Health Services Jammu (DHS Jammu) plan to organize the Written Exam for Psychiatric Nurse, Consultant Psychiatrist, Psychologist/ Counsellor, Psychiatric Social Work, Record Keeper posts in upcoming months means after completion of the application form submission. So applicants apply for the DHS Jammu Recruitment 2018 as early as possible and need to start your preparation for the Written Exam with the help of Syllabus, Previous Papers, and Exam Pattern information. Scroll down and grasp the entire details about the DHS Jammu Recruitment 2018 from this article. Candidates stay tuned to our web page Sarkari Recruitment or the official web portal of the Directorate of Health Services Jammu (DHS Jammu) for knowing the more details about the DHS Jammu Recruitment 2018 Notification and also know about the Syllabus, Solved Papers, and Test Pattern to prepare for the Written Exam. The education qualification is different for Psychiatric Nurse, Consultant Psychiatrist, Psychologist/ Counsellor, Psychiatric Social Work, Record Keeper posts. Consultant Psychiatrist: MD in Psychiatry or equivalent degree along with 2 years work experience as a specialist in a hospital. Psychologist/ Counsellor: Post Graduate Degree in Psychology. Psychiatric Nurse: BSc in Nursing or equivalent Degree along with 2 years experience of working in Psychiatry/ mental health institution/ hospital. Psychiatric Social Work: Post Graduate Degree. 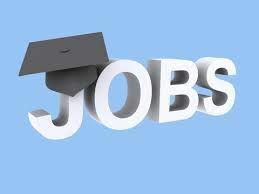 Record Keeper: Graduation in any subject along with 2 years experience in a healthcare institution. The Age Limit decide by rules and regulations of Directorate of Health Services Jammu (DHS Jammu). The selection process having Written Exam and Interview. Application Fee is different for all category applicants. So aspirants can check the official notification clearly for knowing the application fee. The salary is varied for every post so we had clearly given in this section. Visit the official web portal of the Directorate of Health Services Jammu (DHS Jammu) that is jknhm.com. The job seekers get the DHS Jammu Recruitment 2018 Notification link on the home page. Click on that link and carefully read the notification. Aspirants are eligible for that job then apply for the job immediately. Fill the exact details of applicants and attach all the documents to the hard copy of the application form. Re-check the details that are entered by the applicants and post the application form to the exact address of the Directorate of Health Services Jammu (DHS Jammu) before the Last Date. Aspirants can utilize this information and apply for the DHS Jammu jobs as soon as possible. Candidates who want to know the Written Exam Result can check सरकारी रिजल्ट on our web page.